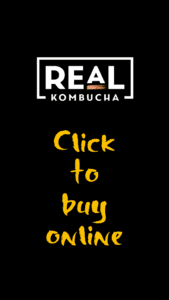 “We, Us, Our” is: Real Kombucha. A cookie is a piece of information, like a tag, that’s stored on your device when you visit this website. It can help identify the device you use whenever you visit, so we can remember who you are. Cookies are used by websites including mine, to provide you with a better experience when you visit this website and for other reasons, including remembering your preferences. Cookies also help us understand how visitors use this site, for example, what pages they view and for how long, this helps us create a better site for everyone to experience. These types of cookies are required for a visitor to use our website, for example to navigation and to use the features we have made available. These cookies do not collect information about you and cannot be used to identify you or used for marketing purposes. These types of cookies help us to understand how visitors use this website. They do not contain or collect any personal information and are only used to help us improve the visitor experience on this website. We may provide links to external resources. These links will lead you to websites managed by third parties that operate using different policies. Should you click on one of these links you will be leaving this site for a site over which we have no control.